Total War Saga: Thrones of Britannia will, of course, include plenty of the series’ trademark large-scale real-time battles, but you’ll also have to be politically astute if you want to win the day. Check out the new politics and intrigue spotlight video, below. An uneasy peace lay across the British. The kings of England, Scotland, Ireland and Wales, and the freshly settled Danes, sensed a time of opportunity. Ambition smoldered within the courts and securing loyalty from within was paramount to both the success – and survival – of a ruler. 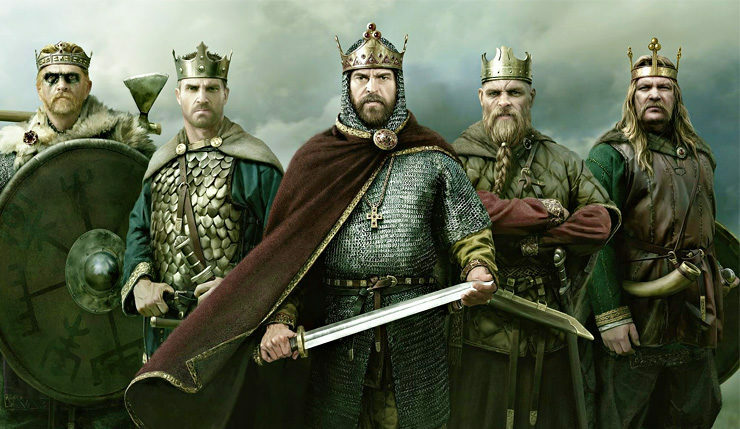 Assuming the role of the English, the Gaels, the Welsh, the Great Viking Army or the Viking Sea-Kings, players of Thrones of Britannia must master the dark arts of politics, employing every method from the arrangement of marriages and the gifting of estates to bribery and more extreme options. Thrones of Britannia has its own dedicated Intrigue Panel, which lets you manage the loyalty of your court and generals with bribes, arranged marriages (and divorces), and, if somebody gets out of hand, the occasional “hunting accident” assassination. You’ll also have to worry about setting up your heir, assigning governors, and fending off civil wars. It all looks pleasingly complex and labyrinthine. While we’re at it, here’s a slightly older video detailing some of the new additions to Thrones of Britannia’s battle system. Thrones of Britannia is the first game in the Total War Saga spin-off series, which will tackle more specific points in history, rather than the vast eras the series has dealt with in the past. The games will also focus more heavily on narrative and player choice than past Total War titles. Thrones of Britannia, in particular, takes place in 878 AD as Britain recovers from years of Viking invasions and Norse, English, Scottish, and Irish factions vie for control of the islands. Creative Assembly are promising their most detailed campaign map ever, covering the entire British Isles. Total War Saga: Thrones of Britannia recently suffered a minor delay – the game now marches onto PC on May 3 (rather than April 19).